karen on My Raspberry Shake 4D has Arrived! 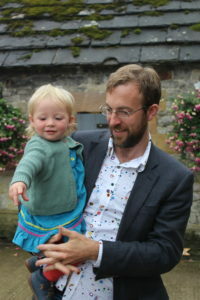 I am Mark Naylor, a Senior Lecturer in the School of GeoSciences at the University of Edinburgh. Inspired by my time in the outdoors, I really want to know about how the Earth works. In my research, I have studied how mountains grow, landscapes evolve and the natural hazards that emerge in these dynamic systems. I particularly like to find new ways of understanding the natural world using computational, statistical and mathematical methods. In this blog, I hope to share some of my experiences of how numerical tools allow us to answer new questions about the natural world through interdisciplinary working and maybe tell you about some methods that I think are quite cool. I will be updating a public GitLab repository with working code to extend what I have been talking about in the blog [https://git.ecdf.ed.ac.uk/mnaylor/blog-post-notebooks] . Hopefully you might find this useful! If you have a question that you think could benefit from a quantitative analysis, feel free to drop me a line. To find out more about my work, have a look at my Google Scholar page.